I'm sure that you have heard at least mention of essential oils sometime in this past year. They seem to be booming with popularity, and our family recently jumped on the bandwagon as well. 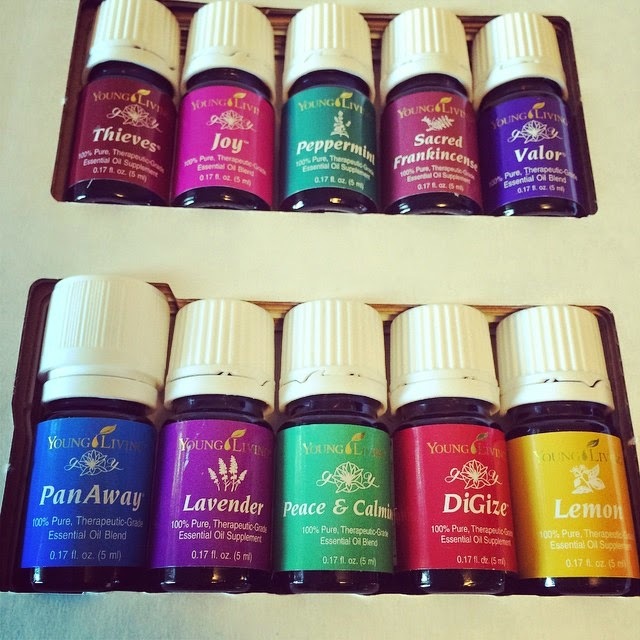 Before this summer, I knew a few people that used Young Living (when I talk about oils for the rest of this post, I am referring to Young Living brand), but knew NOTHING about them. Didn't know what they did, what they were used for, really even what they were. As I continued seeing them pop up on Instagram and would read about them on blogs, and hear of more friends starting to use them, my interest grew. I was invited to an essential oils class probably around May or June of this year and decided to go see what all the hype was about. Before I left, my husband made me promise not to buy anything. I was just going for info! At the class, friends shared testimonies, we talked about what the oils were and how they worked, and got to sample the oils that come in the starter kit. I was pretty interested but wanted to continue researching them and of course, talk to my husband about them. At the class that night, the friend who was hosting it let me borrow her bottle of Frankincense (one of the more expensive oils) to use on my daughter's arm where she had a burn scar. This was so nice of her because it allowed us to kind of "try before we buy" and also for my husband to see oils in action. I will just say that it worked very well, but I am going to do a separate post on some oil testimonies so I will save that story for then. We continued to be interested but not quite ready to take the plunge and spend the money. A month or two later, I was invited to another class, this time at a coffee shop. I thought this would be a great opportunity to take my husband along and let him hear more about it. Personally, hearing people's stories do more for me than the scientific stuff. I love hearing testimonies about what kinds of things work, etc. but my husband is the opposite and wants to understand how and why they work. This was perfect because he read in a book they had there about all of the science behind it and that was what sold him. We left that class basically in agreement that we were going to buy them, but wanted to save up for the kit first. See, our oldest daughter has had some health issues. I don't want to make them to be a bigger deal than they are, but it has been somewhat stressful at times. She has a very severe peanut allergy to begin with. On top of that, she has dealt with eczema and some breathing issues. They have all seemed to go hand in hand when I have researched causes, treatments and more natural ways to control it all. We have to be very gentle with her skin, using only natural soaps, detergents, etc. Starting last year, she got sick and in the middle of the night was wheezing and gasping for air. We brought her into our bed and were very nervous. 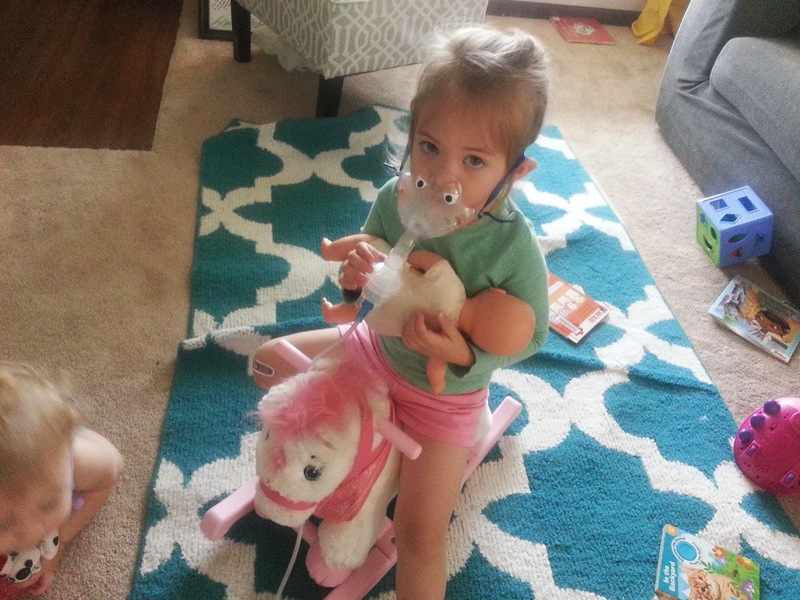 The next morning, we took her to the doctor and they started her on a nebulizer and steroid. It was just a cold but the breathing stuff got out of control fast. This happened again and again, every time she would get sick. After the second time, we bought a nebulizer and albuterol, so we could start treatments at the first sign of illness, but we still ended up in the doctor's getting on a steroid treatment as well. Finally, this summer, probably sometime between the two classes I attended, she came down with a random illness, cold, something. She seemed pretty fine and I didn't think much of it. It was the 2nd or 3rd time it had happened in about a month so I thought maybe she had a seasonal allergy. I was having a small group with ladies at my house and she came into the room and laid down on me, feeling very warm and was completely lethargic, not even lifting her head or really talking to me. One of the women encouraged me that maybe I should take her to the doctor, but I just really thought she had an allergy and we had been doing the Neb, so she would be fine. After about another hour it became apparent that she was getting worse. She was wheezing and practically asleep sitting up. The woman offered to watch my other daughter and I called and got an appointment not at our regular office because they were booked, but across town. She drifted in and out of sleep on the ride but I knew something was wrong. 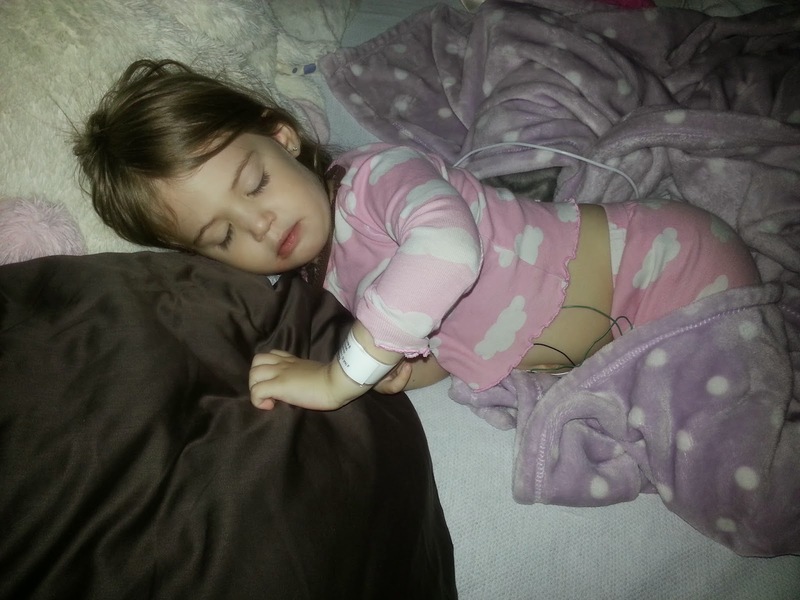 When we got there, the first thing they did was test her oxygen level, like always. The doctor came back in and said that her oxygen was lower while awake than she wanted to see it when she was sleeping and that was of course concerning, because then what could it drop to when she slept?! They did a breathing treatment and retested it only to have it go up about 1. She sent us to the hospital for an overnight stay. Luckily they were able to get it under control and she only had to stay one night, but having your not even 3 year old be that sick and in the hospital is very scary. All that to say, I knew that if I COULD try something else to help aid in her health, boosting her immune system and keeping her well, I wanted to try. We figured that with how much we pay in co-pays and prescriptions each time she goes to the doctor (which was pretty much monthly or more at that point), the starter kit was not that big of an investment. Especially if it helped keep her out of the hospital--we JUST finished paying off that bill last week...hallelujah! We decided at that point that we were interested enough and wanted to see what oils could do for our family. We are both very conscious about health and really trying to change the ways we are eating and products we are using and such so we thought these would be right up our alley. We have been using oils for probably about 4 months or so now and LOVING them. They are great for so much, from getting crayon off of a wall to congestion. From allergies to cleaning my floors. I have heard people say that there is an oil for everything, and I really believe that is true! We have found our go-to oils pretty quickly (Thieves blend, lavender, lemon, peppermint and purification are our favorites and most used), but I can see how you could truly be finding new oils all the time! I am excited to start sharing a bit more about oils here and there. I will be back soon to talk about some of the ways we have used them and seen them work. I am also really wanting to try making some of my own products using oils, but I'm guessing I won't get around to that until at least the turn of the year. Do you use oils or have you considered them before? Thanks for writing this Natalie! I love lavender and eucalyptus essential oils but haven't used that many others. Can't wait to hear more! I have doterra on guard (their theives) and peppermint and I like them buy need to know more uses!! I have asked for the YL starter kit for Christmas and cannot wait to get started and learn more! Peppermint oil has been a life saver this pregnancy between migraines and just being sore in general! I even tried it as a last ditch effort to help with feeling nauseous the other night and it seemed to help a little with that too!